At the law firm of Weinstock & Associates, LLC, we provide vigorous and strategic criminal and civil legal representation in Atlantic City and throughout the surrounding cities of South Jersey. 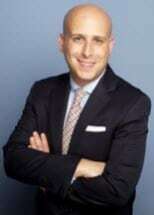 Attorney Ed Weinstock has tried over 30 cases to verdict, both as a former assistant prosecutor at the Union County Prosecutor's Office and as a criminal defense attorney. He has been selected for inclusion in the Super Lawyers "Rising Stars" list for 2012-2016. In addition to criminal and municipal law, we handle personal injury law, commercial law and appeals. In every case, we are committed to offering clients the strong advocacy and personalized service they deserve. In the case of State v. A.S., Ed obtained a "not guilty" verdict on behalf of a client charged with murder, carjacking and robbery after he successfully argued that his client was misidentified and not the perpetrator. In the case of W.F. & W.G. v. Police Officers M.P. & J.H., Sarah and Ed obtained a $360,000 jury verdict for their clients. They successfully argued that members of law enforcement violated their clients' civil rights. Schedule a free initial consultation by contacting Weinstock & Associates, LLC, today. At Weinstock & Associates, we understand the lifelong implications a criminal conviction — and even a criminal arrest — can have. Traffic violations may seem like minor charges, but in reality, they can have significant consequences. It is no secret that the "war on drugs" is still in effect, and both the New Jersey state and federal governments take alleged drug crimes seriously. The New Jersey Superior Court aggressively prosecutes those accused of violent crimes such as sexual assault, murder, robbery and others. Working with an experienced personal injury attorney can mean the difference between receiving the bare minimum from your insurance company and the maximum amount of compensation to which you are entitled.